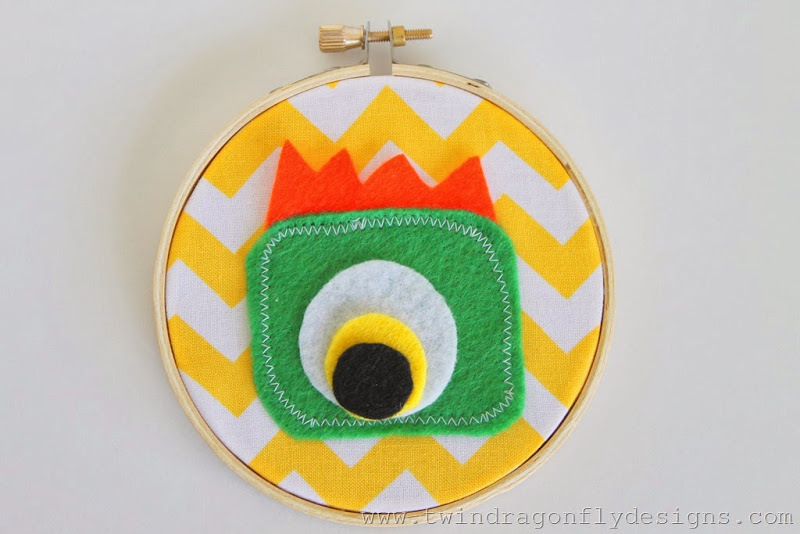 I have the most adorable Monster Craft Tutorial for your today! I absolutely love creating Monster Dolls and can’t wait to share them with you. Be sure to stop by Ya Ya Monster Dolls on Facebook to see what we are up to. 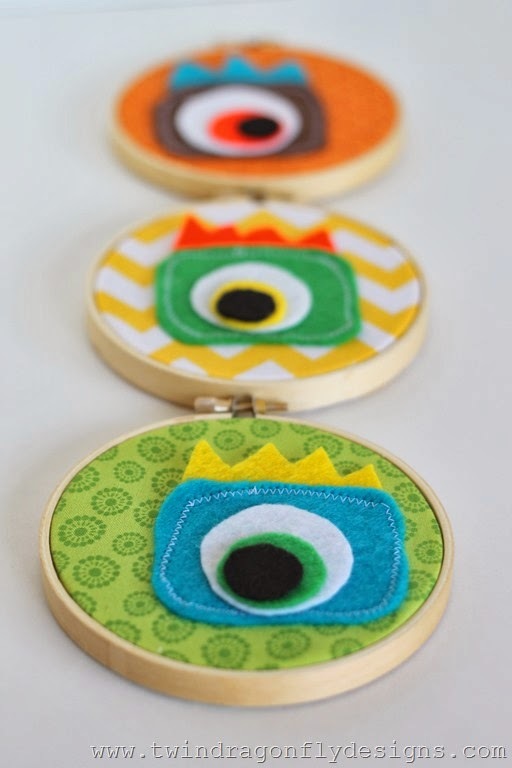 Begin by cutting out a monster shape from felt. Add fun features like spikes, antennas or limbs. 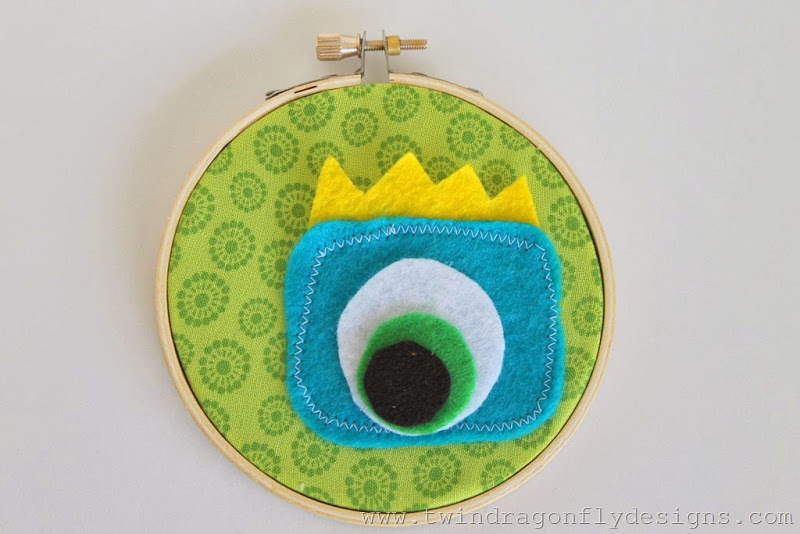 Sew a zig zag stitch around the shape to add interest and attach features to the monster. 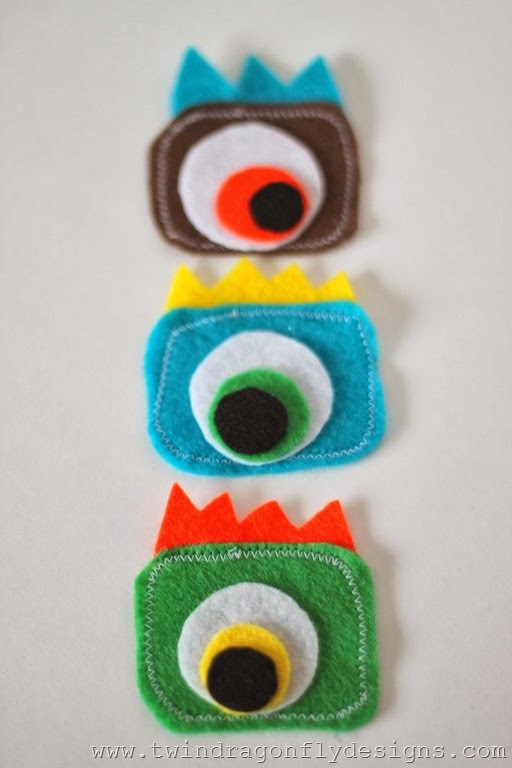 Use a hot glue gun to glue facial features to the monster. Now that you have a cute little monster face lets make an embroidery hoop mat to place it on. 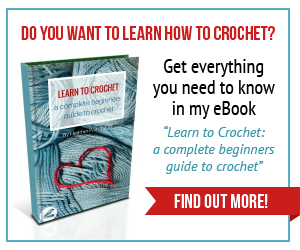 Do you have a large pile of scrap fabric? 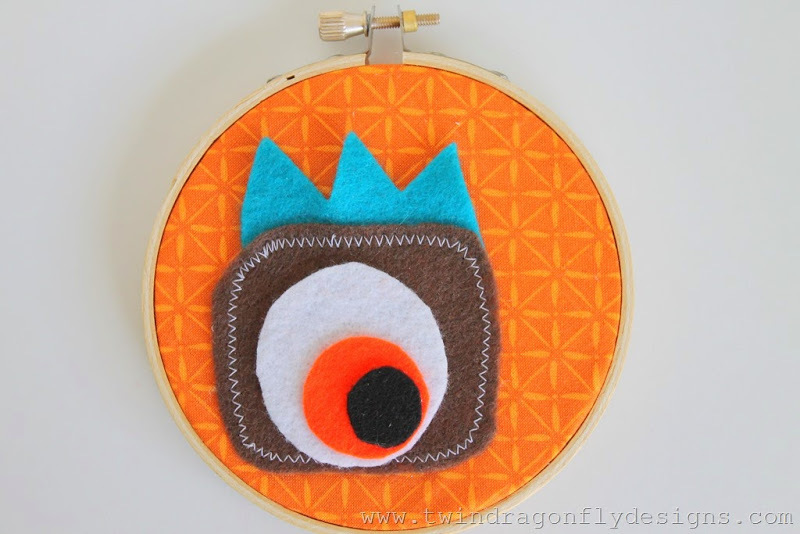 Framing those scraps with an embroidery hoop is a great way use them up! 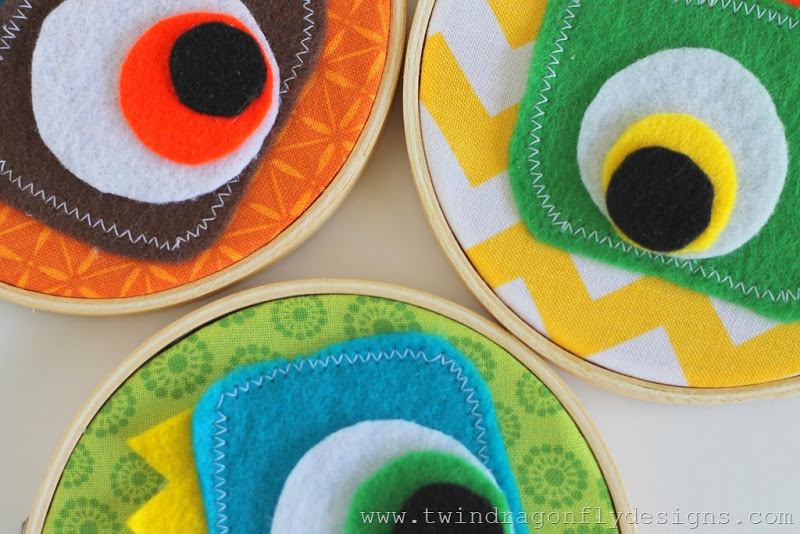 I found these 4″ hoops at Michaels but have also spotted them at the dollar store and scored a few vintage hoops at the thrift store. 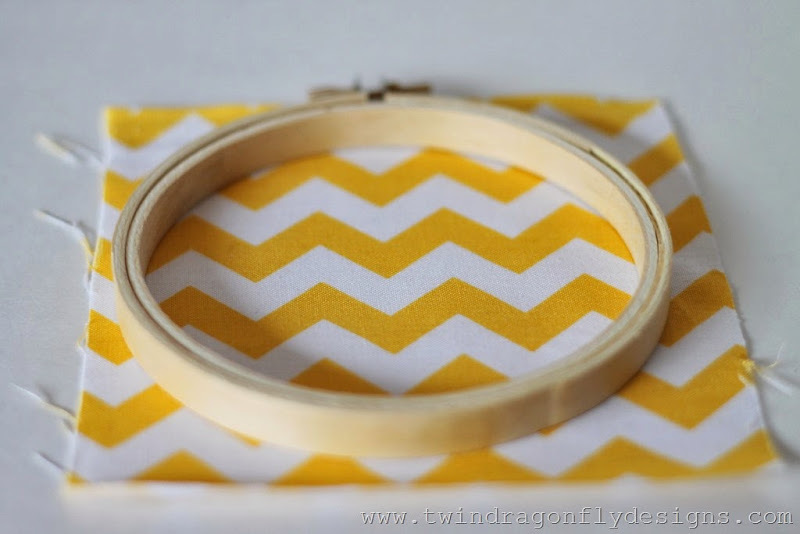 Cut a piece of fabric at least one inch larger than the embroidery hoop. 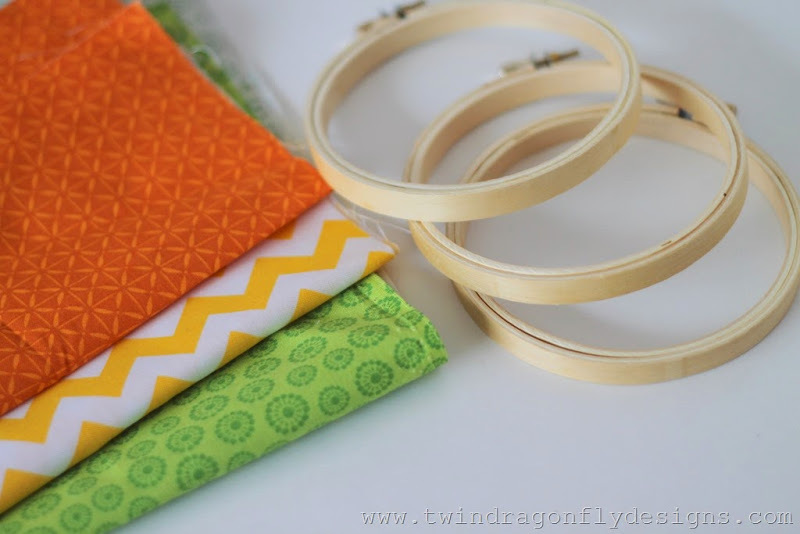 Fasten the fabric into the hoop and trim off excess material. I like to tighten the hoop and glue excess fabric to the back. 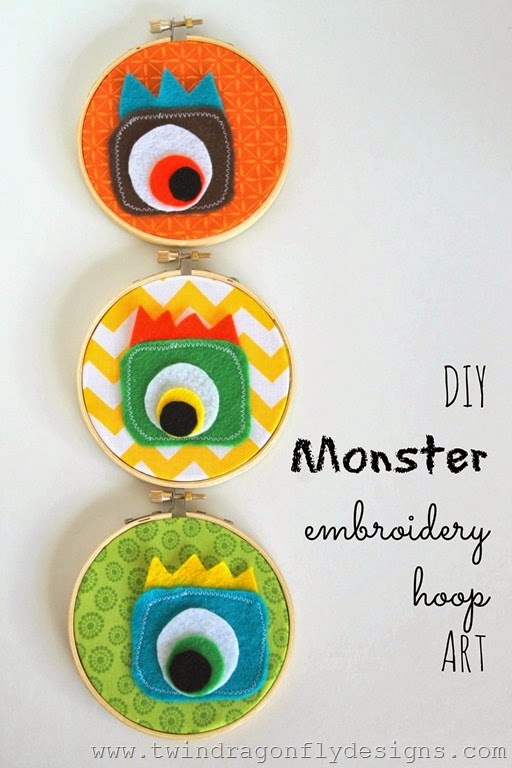 Finally glue the monster to the front of the hoop. Seriously adorable right? The colour and pattern combinations are endless. I create all sorts of fun Monsters over at Ya Ya Monster Dolls. 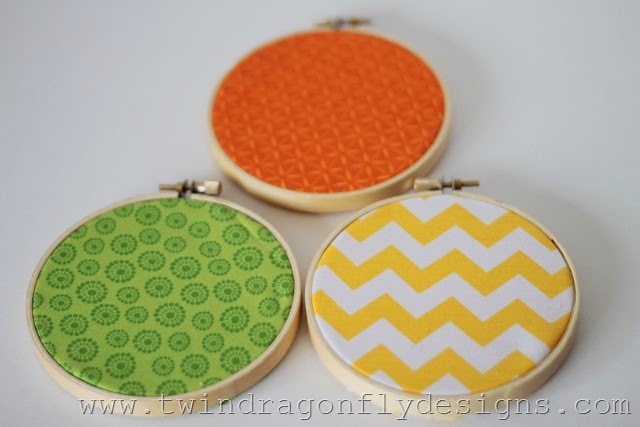 These embroidery hoops are included in the collection and come in a variety of colours, shapes and sizes. 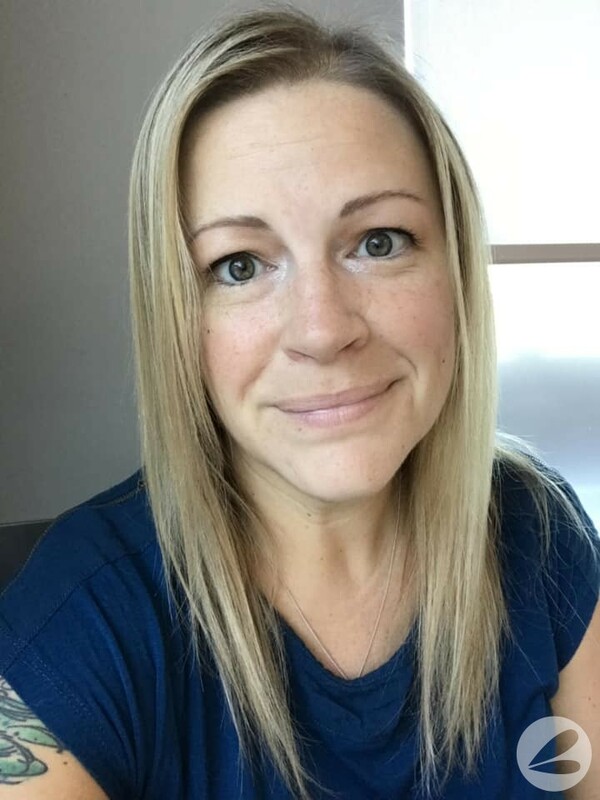 Every season I like to create a new Ya Ya to celebrate. Be sure to check out our Ya Ya Bunnies! 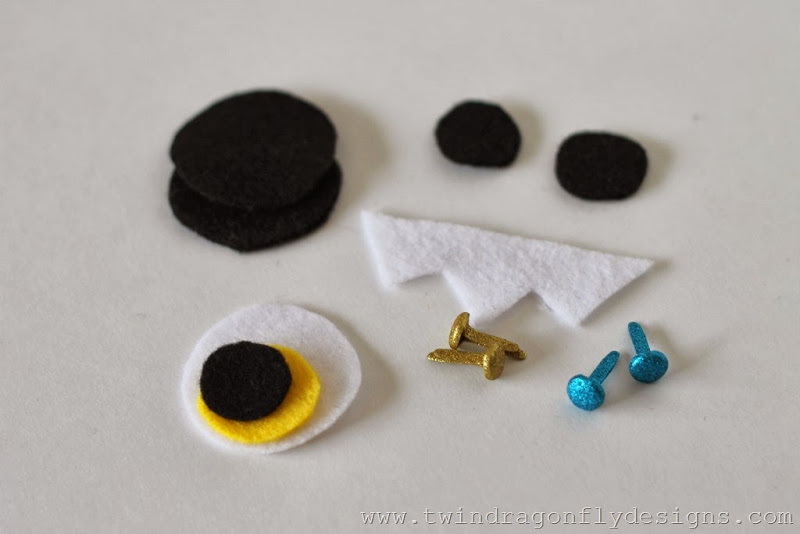 They have the coolest bendable ears, softest minky bodies and perfect little pocket bums. 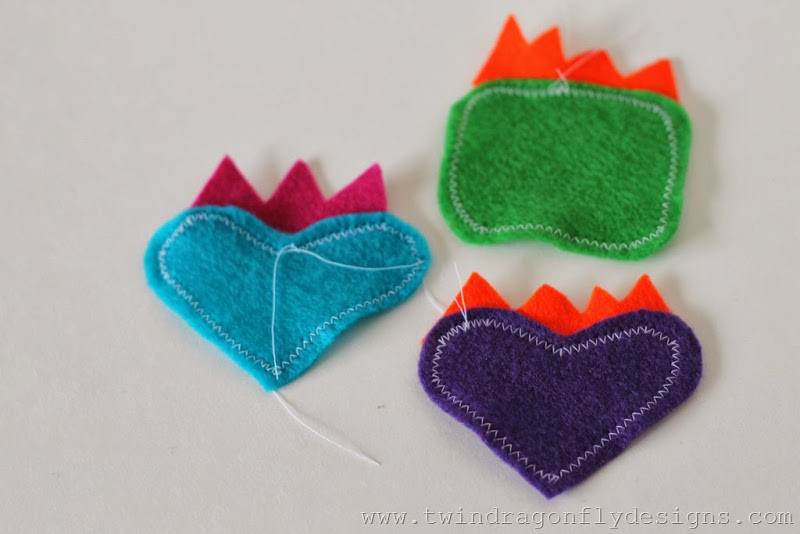 Tutorial originally posted on Sugar Bee Crafts.